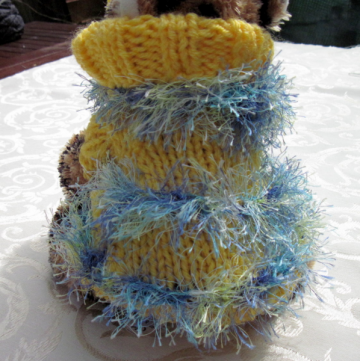 of GimmeThatThing, another new friend from Zibbet. If you'd like to join us and open your own shop, please use my referral link: click here. Dark olive, with burnt orange a close second. I'm definitely an earth tones person. Sandalwood. I'm a bit of a hippy and the smell reminds me of my teenage years, youth clubs and hanging out in the park. It still smells fresh to me and is included in so many expensive perfumes. I have a tiny bottle of sandalwood that I bought in Santorini in Greece a couple of years ago and when I make body lotion I use it with ylang ylang or orange to add an amazing fragrance. Under the duvet in the winter when it's lashing with rain outside. So cosy with my knitting, a cat or two and a good book! The pair of blackbirds that sit in my pear tree and sing their socks off early in the morning. 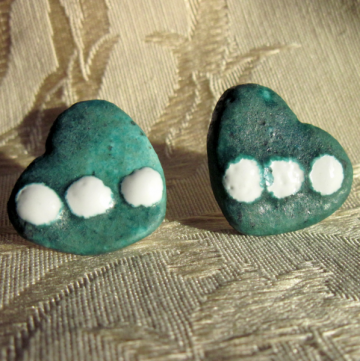 Experimenting with new beads to create a design I've never tried before. There is nothing so exciting as getting a bead order delivered just when you've forgotten what is inside the package. 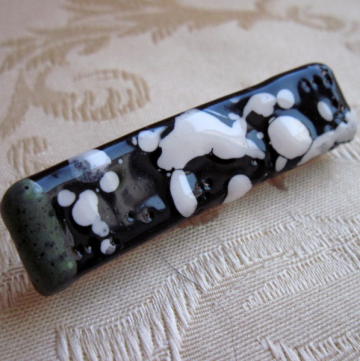 I'm just filled with ideas when I see new beads. My biggest pleasure though is starting a new knitting project. It's always more exciting to start a garment than to finish one and because knitting is so portable, I've usually got it with me wherever I go. nifty: sounds as if you're like me - hate the sewing up at the end? My top tip is to knit in the round whenever possible! The colours are so vibrant and suit the energy that small dogs have. I want the buyer of this item to send me a photo of the little fella that gets to wear this one. I have 2 cats and doubt very much if they'd let me dress them in fluffy yellow garments! Well that's a tough one. There are so many fab shops, but for originality I'd have to say Annabella Designs. I've never done the wedding thing, but love all the paraphernalia that goes with the bridal outfit and this shop has it all. 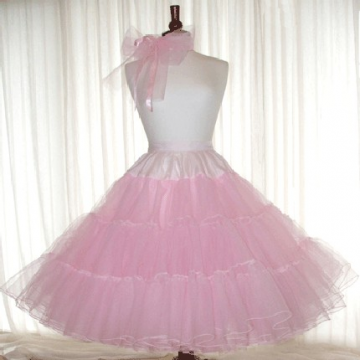 The Pink Custom Made Vintage 50s 60s Style Stiff Net Petticoat is so not me but I love it. The satin ring cushion – I never knew such things existed until I saw them in her shop. Never assume that when you've had a good run on sales you can stop promoting. Keep telling the world that you are making the most wonderful things that they are ever likely to see, and keep making and listing new items. Also, don't be afraid to try something new. Oh so true! Thanks Amanda! and my referral link to sign up for your own Zibbet shop: click here. Congrats Amanda! I had to LOL when I read your comment about dressing your cats. I have three cats and none of them will even wear a collar. That puppy sweater is so cute. Amanda has multiple talents and is a terrific writer as well! I can testify to that. Incredibly talented <3 I like sandalwood too -- I have some sandalwood incense burning today!